TASTING NOTES: A medium-bodied red with cinnamon, cranberry and nutmeg on the nose. Lush, velvety and delicately balanced on the palate, with notes of dark cherry and plum, followed by a finish of caramel, brown sugar and allspice. A great Pinot Noir alternative. 450 cases produced. Drink now through 2025. 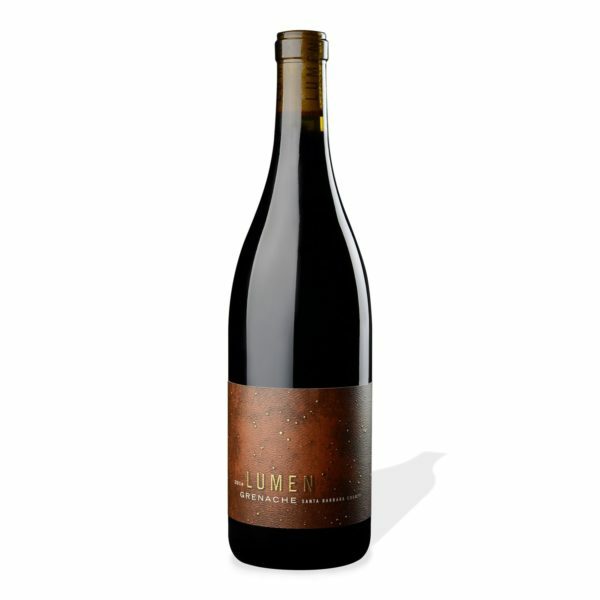 A blend of pure Grenache from two vineyards in Northern Santa Barbara County, both of which are influenced by cool, foggy mornings and windy afternoons due to their proximity to the ocean. Martian Vineyard lies on gentle hillsides in Alisos Canyon in Los Alamos, and is biodynamically farmed. Camp 4 is owned and managed by the Chumash Tribe and lies just east of the town of Los Olivos. Both were selected and blended for their pure expression of Central Coast Grenache fruit.